These presentation slides 38912 are complete compatible with Google Slides. Simple download PPTX and open the template in Google Slides. 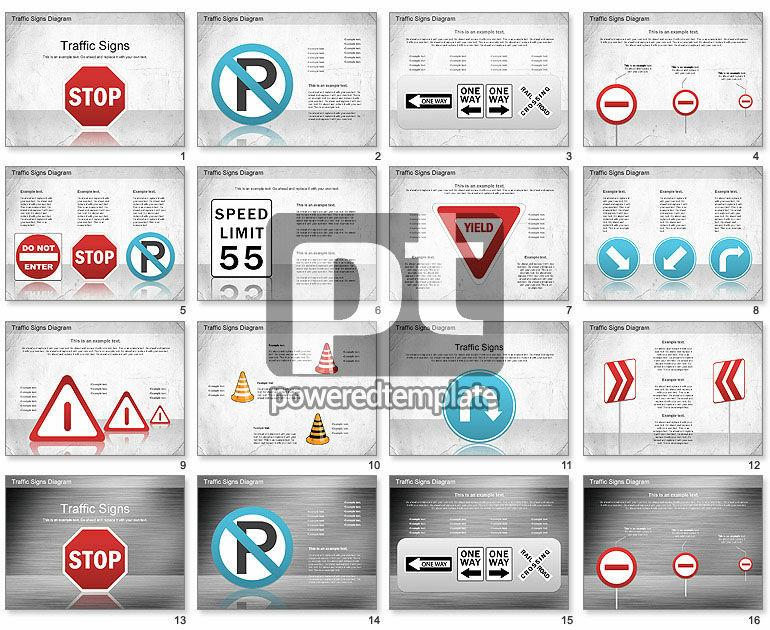 Traffic Signs Shapes with various shapes of road signs and traffic cones will help you to demonstrate bright and clear action, interaction, rules of business activity which you trying to show in your presentation. Of course, you could use it in direct purposes for presentation on traffic rules, study of traffic rules, teaching to drive, for driving license exam, etc.